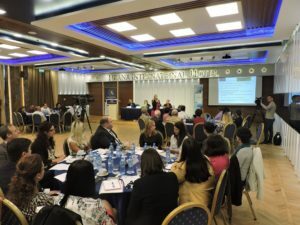 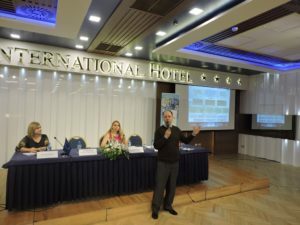 The Albanian Erasmus + Office in cooperation with the Agency for Research, Technology and Innovation and the Technical Assistance for Union Programmes in Albania organized on May 26th, at Hotel Tirana International the round table on ‘How to boost the participation of Albanian Higher Education Institution in Erasmus + and Horizon 2020. 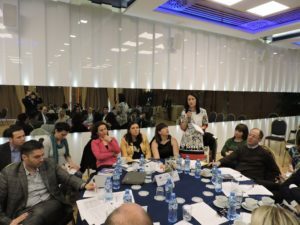 Prior to the round table, Ms. Belen Enciso, Project Officer from the Education Audiovisual and Culture Executive Agency, EACEA conducted a working meeting with the Albanian Higher Education Reform Experts team. 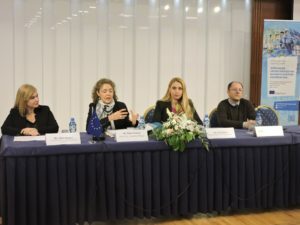 The round table drew high interest and brought together around 100 representatives from state institutions in the higher education field, civil society, higher education reform experts as well as governing authorities, academic staff and international relation offices staff from public and private universities in Tirana, Elbasan, Shkodra, Korça, Vlora and Durres. 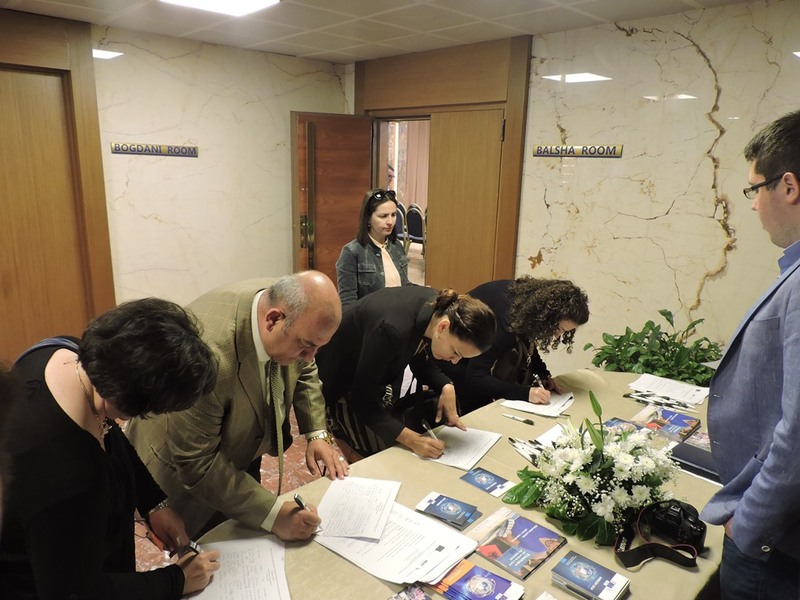 This activity was greeted by Mr. Redi Shtino, Deputy Minister of the Ministry of Education and Sport and Ms. Belen Enciso, Project Officer from the Education Audiovisual and Culture Executive Agency, EACEA. 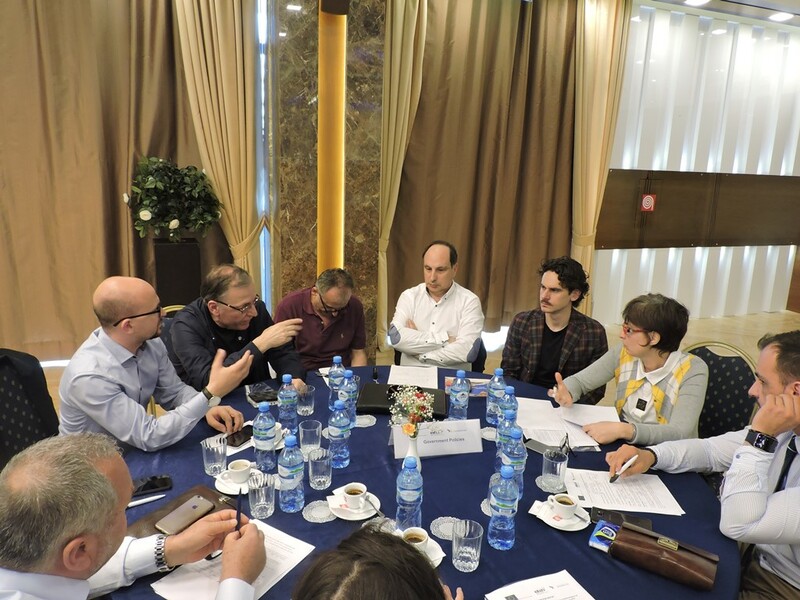 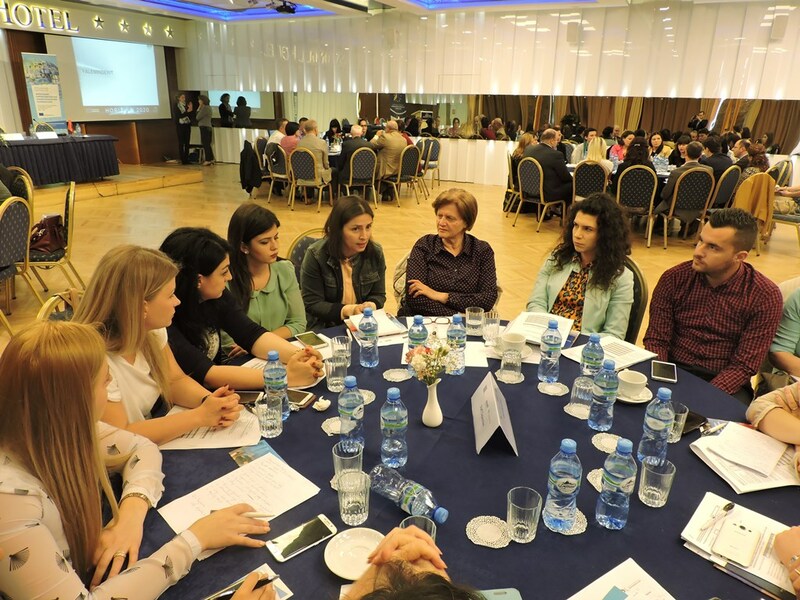 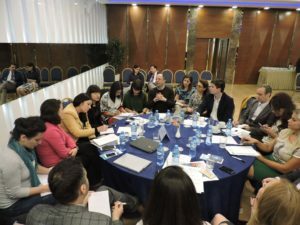 During its proceedings, the round table participants worked in four parallel workshops and identified the main issues that currently restrain the participation of Albanian Higher Education Institutions in Erasmus + and Horizon 2020 programmes. 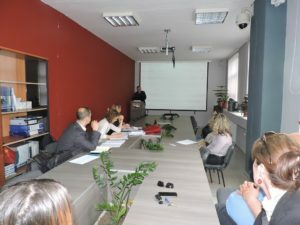 Subsequently, the round table conclusions structured as a recommendations document will be presented to the Ministry of Education and Sport, as inputs in the drafting process of the bylaws for the new law in “Higher Education and Scientific Research in the Albanian Higher Education Institutions”. 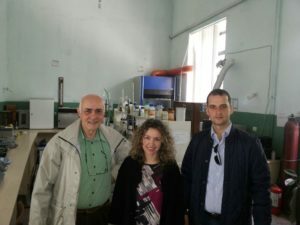 The NEO + staff and the country officer from EACEA, conducted the field monitoring visit on the Tempus EUREQA project. 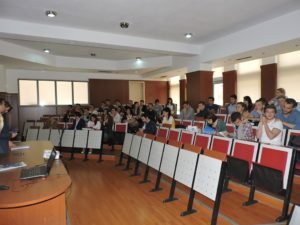 This activity ëas organized at UT’s Faculty of Economy premises, on May 25th, 2016. 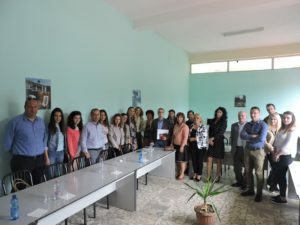 The 3 year EUREQA project supported the University of Tirana, University of Korça and University of Shkodra in developing internal quality assurance systems as well as the transfer of good practices from EU universities through trainings, mentoring and study visits. 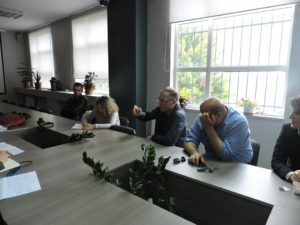 The project is coordinated by the European University Association, in Belgium and involves 17 partner institutions from Belgium, Netherlands, Austria, Slovenia, Finland, Denmark, Portugal, Ireland, Kosovo, Bosnia & Herzegovina and Albania. 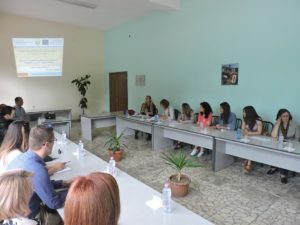 The NEO + staff and the country officer from EACEA, conducted the field monitoring visit on the Erasmus + CBHE project “Library Network Support Services”. This activity was organized at the Agricultural University of Tirana premises, on May 25th, 2016. 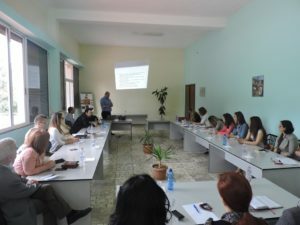 The Erasmus + CBHE project “Library Network Support Services” supports the modernising of libraries in partner country universities through staff development and reforming of their services. 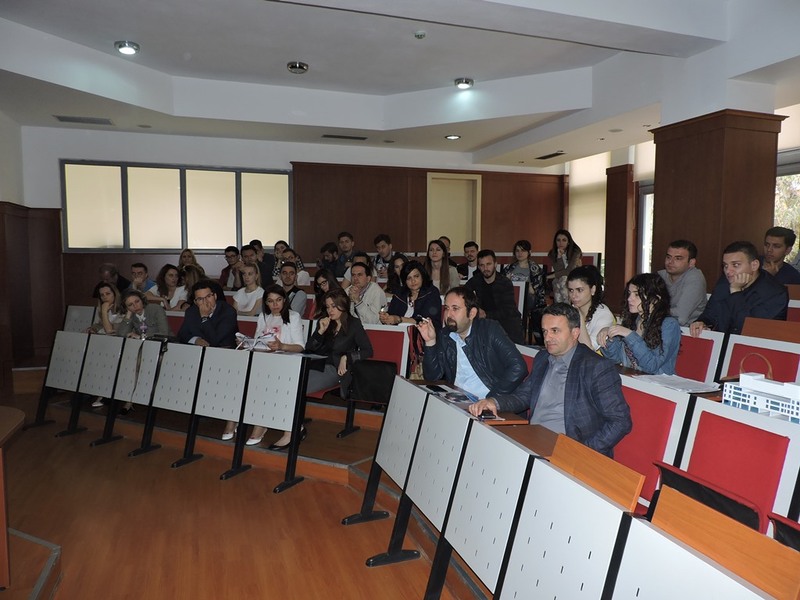 The “Erasmus + Information meeting” was held on May 24th, 2016 at PUT’s Faculty of Architecture and Urban Planning premises. 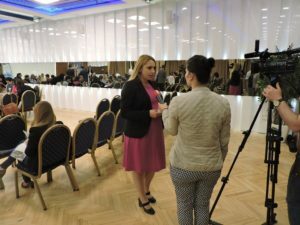 This activity drew the interest and participation from the Polytechnic University of Tirana’s academic and administrative staff as well as its students. 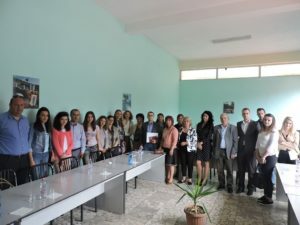 In addition the Albanian Erasmus+ office team informed the students on existing possibilities within the Erasmus Mundus Joint Masters Degrees and Erasmus Mundus partnerships. 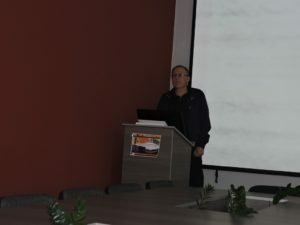 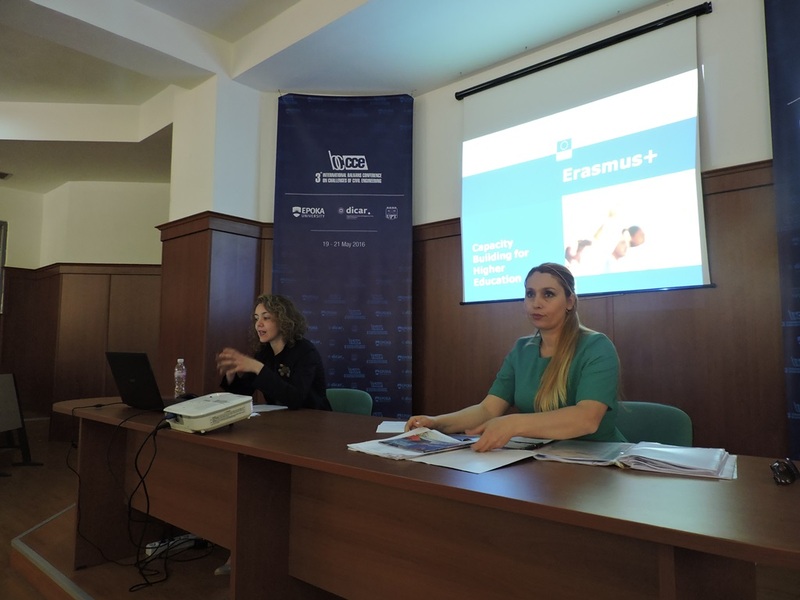 This event was also valuable for introducing some key elements that enable the preparation of successful project proposals in Erasmus + as well as discussing varies questions and issues raised by the participants about the programme. 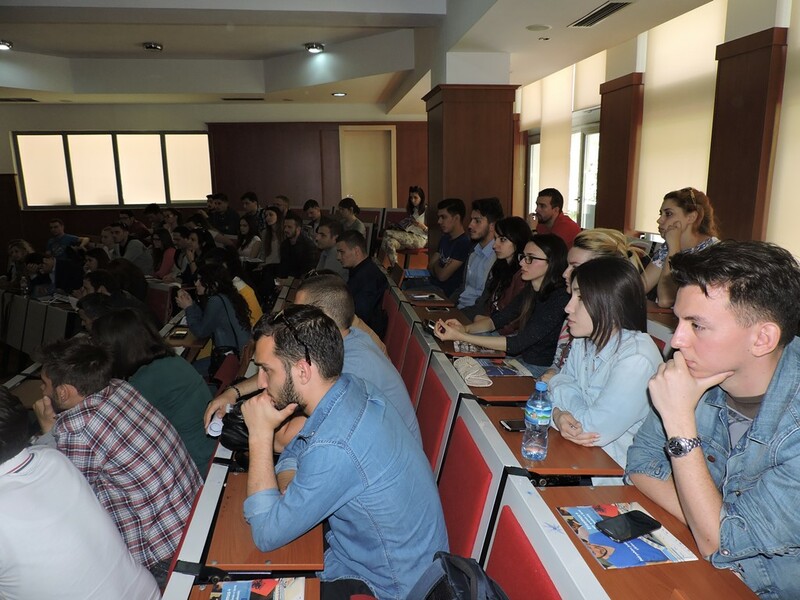 The Albanian Erasmus+ Office and the Polytechnic University of Tirana are pleased to invite you to the “Information meeting on Erasmus +”, to be held on May 24th, 2016, 12:00-14:00 hours, at the Faculty of Architecture and Urban Planning premises. 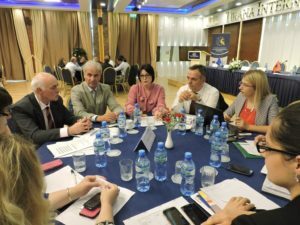 Albanian Higher Education Institutions can sign a credit mobility agreement with universities from Erasmus + programme countries. 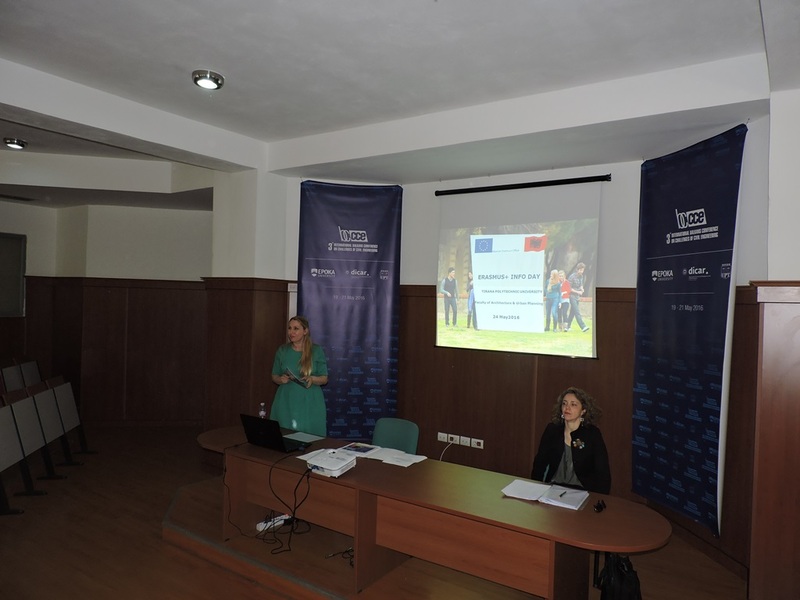 Such agreements comprise the possibility of implementing mobilities of students and staff which are financially supported by the EU. 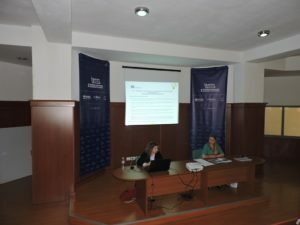 The mobility period ranges from 3-12 months for students and 5 days – 2 months for the academic and administrative staff. 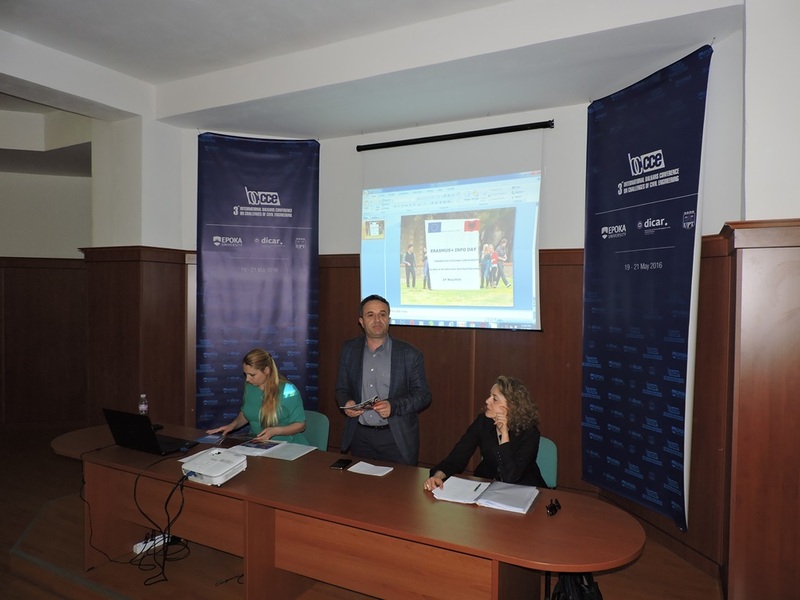 Short term mobilities will be implemented in different languages, based on those in use at the host university. 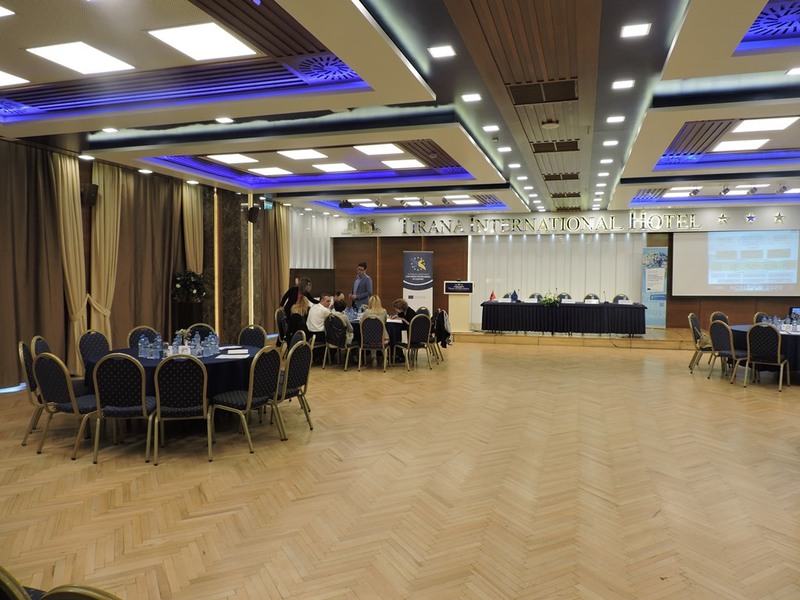 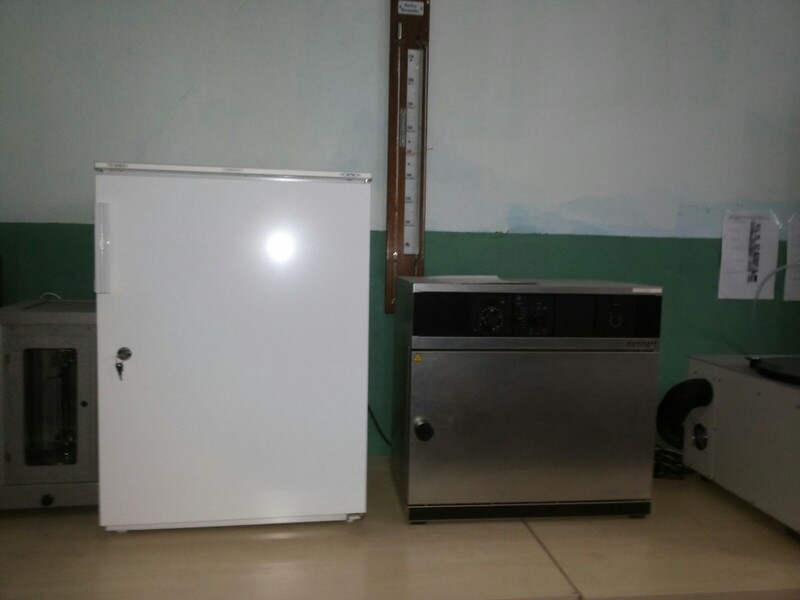 Capacity Building projects succeed former Tempus projects. 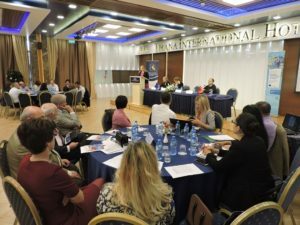 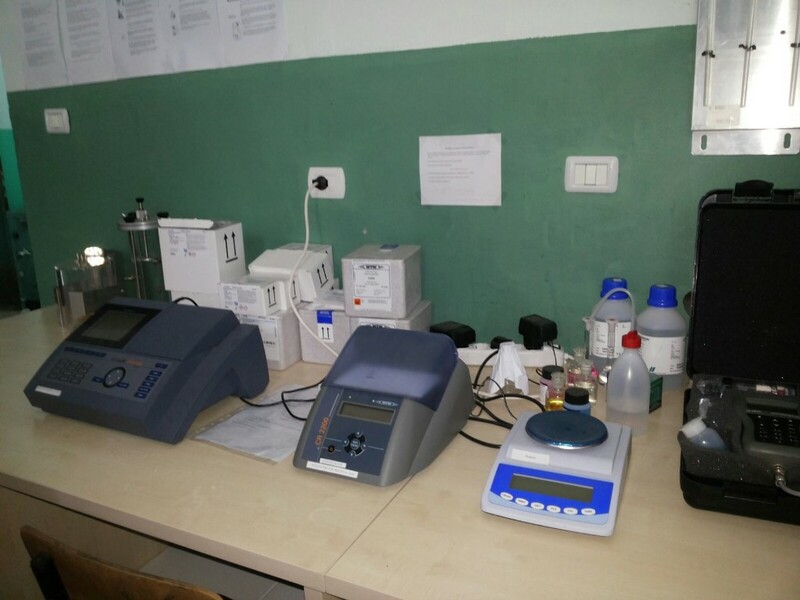 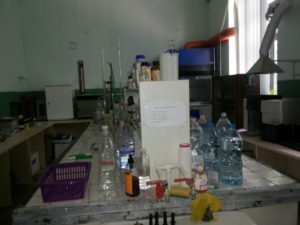 Through such projects, the Albanian universities can support the modernization, accessibility and internationalization of their institutions, train their staff, improve their lab facilities etc. 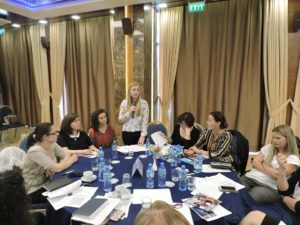 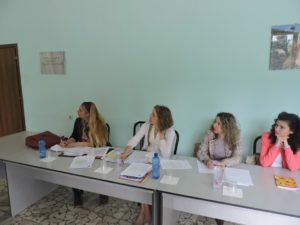 Capacity Building projects may include a Special Mobility Strand addressed either to students or staff from Albania (3-12 months for students, 3-12 months for practice, and 5 days – 2 months for the academic and administrative staff). 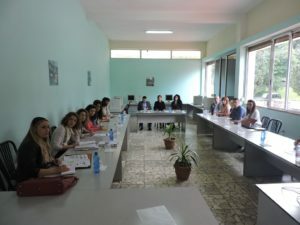 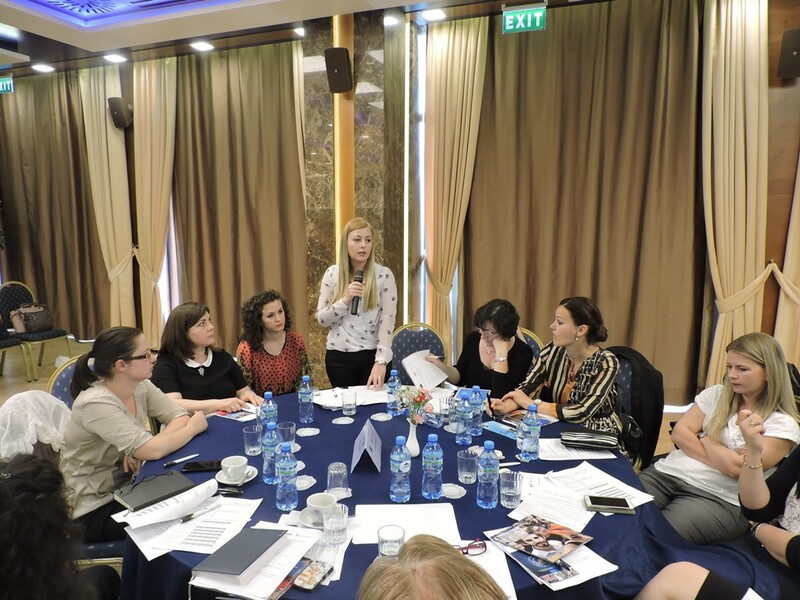 The Jean Monnet programme supports initiatives dedicated to the European integration of Albania, in all possible teaching fields and disciplines, such as academic modules, advocacy events, etc. Joint Master Degrees are offered by a consortium of Higher Education Institutions from EU countries. They award a joint diploma after the completion of a study programme implemented in two or more European HEIs. 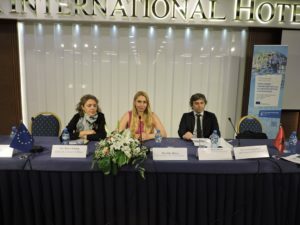 Albanian students can apply directly to earn the scholarship for the Joint Master or Joint PHD programmes. This event will also serve to discuss some key points for the preparation of successful project proposals in Erasmus +. We welcome your participation to the “Information meeting on Erasmus +”. 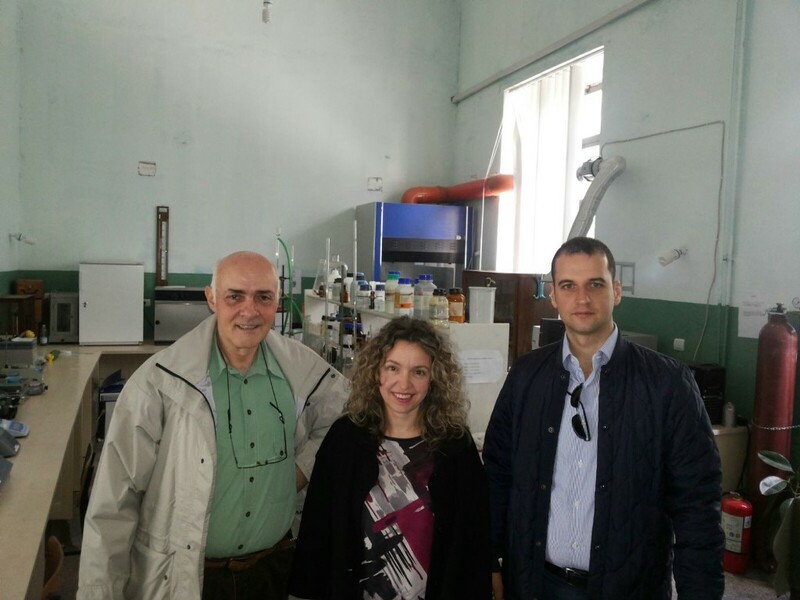 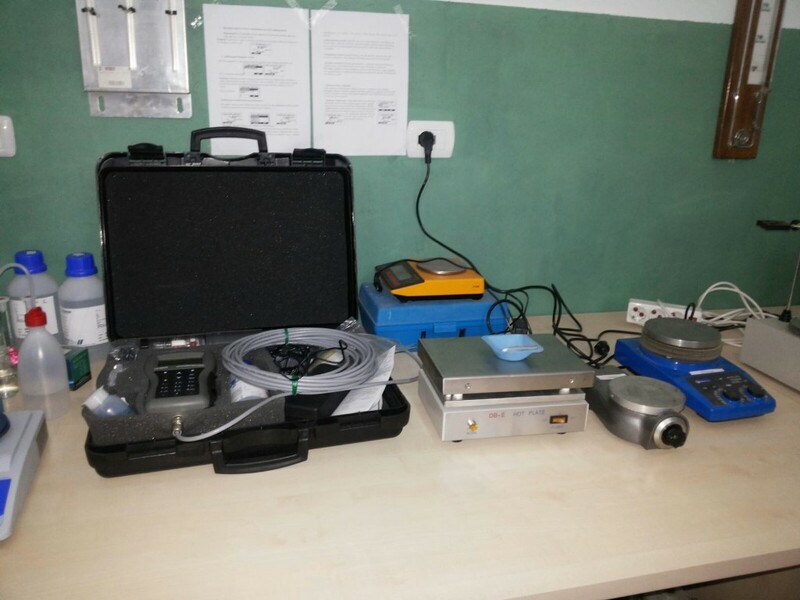 The NEO + staff conducted the field monitoring visit on the Tempus DEREL project. This activity was organized at the Polytechnic University of Tirana premises, on 13 May, 2016. The DEREL project developed e Master of Science program in “Geo – Environment” at PUT. 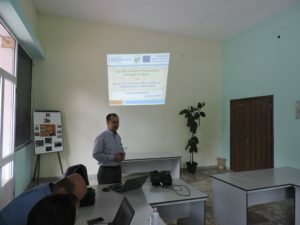 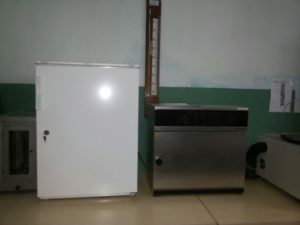 The Project was coordinated by the University of Florence in Italy, in cooperation with 17 partner institutions from Italy, Spain, Austria, Germany, Macedonia, Serbia and Albania. 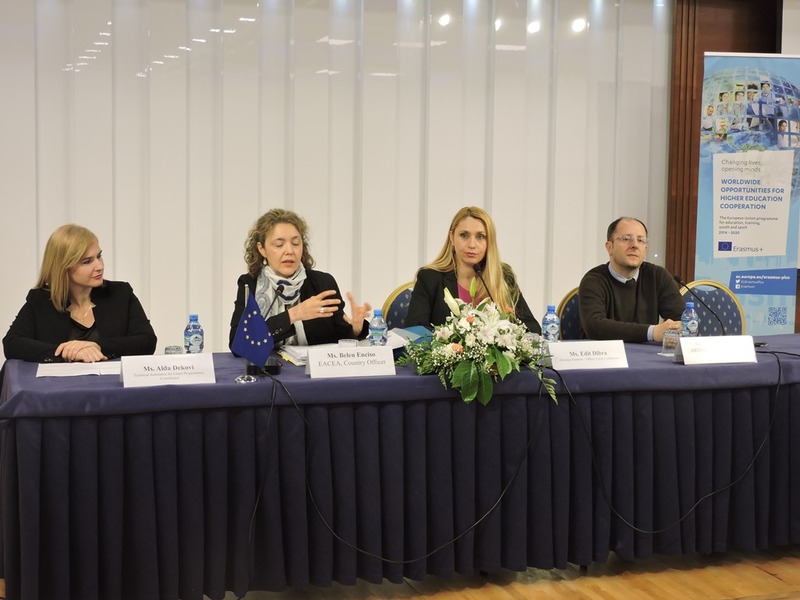 In the framework of the “Week of Europe” activities, the European Union Information Network in collaboration with the EU Delegation in Albania and the Albanian Erasmus + office, organize the forum: “Erasmus + in Strengthening Skills for Albanian Professionals”. 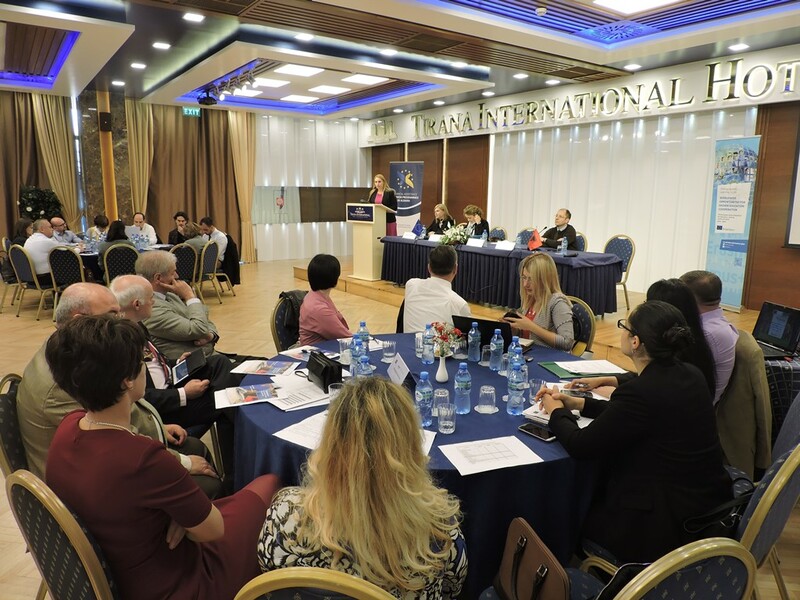 This event will be held at the “Silvano Pedrollo” venue, of the Polytechnic University of Tirana, on May 12th, 2016, as described in the agenda below. We welcome your participation to the “Erasmus + in Strengthening Skills for Albanian Professionals” forum. 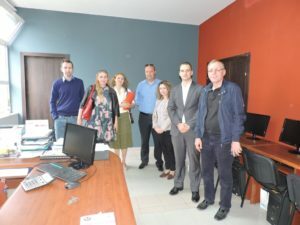 The Albanian Erasmus + office.